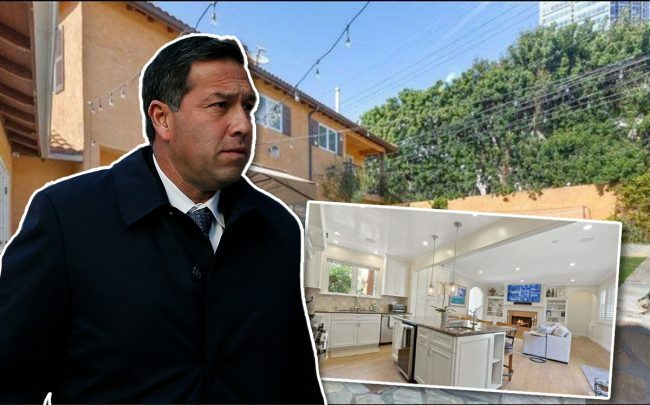 Jorge Salcedo, a former men’s soccer coach at UCLA who is among those charged in the college admissions scandal, has listed his Century City home. Salcedo is asking $2.3 million for the 2,900-square-foot home, according to the Los Angeles Times. The 80-year-old home has four bedrooms, 4.5 baths, arched doorways and a modern kitchen. The backyard has a patio and a landscaped yard. The former coach purchased the home for $1.9 million in 2016. Federal prosecutors charge that Salcedo accepted a $200,000 bribe from the alleged mastermind of the admissions scheme, William Singer. The money was allegedly used to get real estate developer Bruce Isackson’s daughter into UCLA, along with another student, according to published reports. The charge involved having Isackson’s daughter — along with the other student — receive a spot on the soccer team. Salcedo resigned from his position last week. Isackson is the president of WP Investments, a development firm out of Woodside in San Mateo County. He’s one of a number of real estate bigwigs and two actresses caught up in the scandal. The FBI investigation found that parents conspired to bribe SAT and ACT exam officials, as well as college administrators and coaches who could get their children into selective colleges.